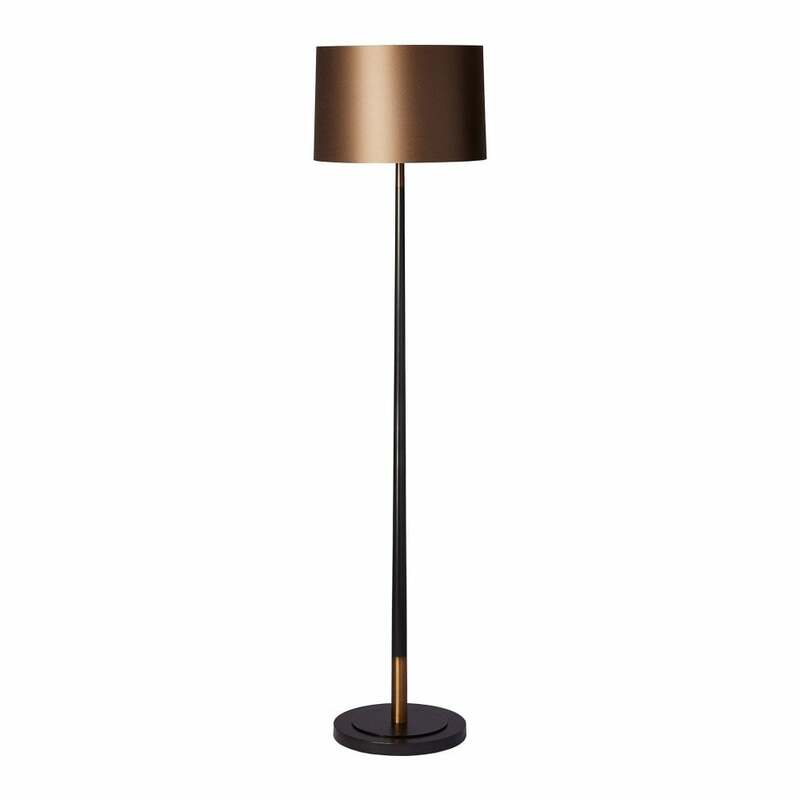 Illuminate your space with the contemporary yet elegant floor lamp from the Veletto range by Heathfield & Co. The slim, linear base extends from the floor over 1.4 meters high with contrasting brushed antique detailing, in line with the current metallic interior trend. A simple yet prevalent design which can be incorporated into your hallway, living room or even bedroom as a visually striking focal point. Extend the look further with the complementary Veletto large table lamp, medium table lamp or even wall lamp for a unified look. Adapt the shade in many signature Heathfield finishes and linings to suit any interior spaces.